A small town in the English countryside with a population of 6,000 does not immediately conjure up images of metropolitan buzz, but on closer inspection the historic market town of Oundle in Northamptonshire proves to be a real gem in the cultural life of the country, not least because of the Oundle Festival of Literature. St Peter’s Church is the main festival venue. For the past fifteen years, the Oundle Festival of Literature has been held in this picturesque market town on the River Nene. Unlike most literary festivals, Oundle runs events all year round, bringing visitors to a small town famous for its beautiful stone buildings while proving there is no need for the literary world to be London-centric. 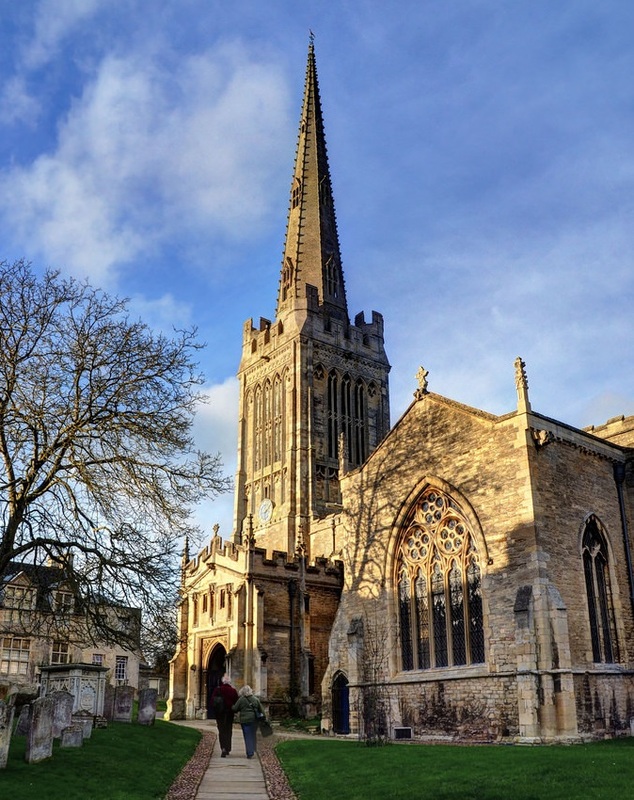 Set in rolling countryside, Oundle has prospered as a market town since Saxon times. In the 1530s the antiquary John Leland described it as ‘al buildid of stone’, and so it mostly is today. Many of its houses date back to the 17th century and the church to the 13th. The pale buff Oundle Stone buildings, the paths and alleyways, the weekly market and monthly farmers market and a street layout barely changed in 300 years make this an English town with solid foundations in the past. Twelve miles from the nearest train station in Peterborough, the town might be considered to be off the beaten track, and yet it boasts numerous specialist shops, cafés, restaurants and pubs as well as a wide range of cultural events from plays and concerts to writers’ talks. The presence of Oundle School adds a dash of town and gown. With more than 1,100 pupils, Oundle is the third largest boarding school in England after Eton and Millfield. An independent Church of England school founded in 1556, it installs its headmaster in the 17th-century, Grade I-listed Cobthorne House. This quintessentially English town will provide the perfect setting for Adam Hart-Davis’s talk on the quintessentially English illustrator Heath Robinson in early December. Adam will be talking about his latest book Very Heath Robinson and telling amusing stories about the man Philip Pullman calls The Grand High Celestial Mechanic of Absurdity. He will be speaking in St Peter’s Church at 7.45 p.m. on Wednesday 5th December. You can book tickets to the event here. Adam Hart-Davis was unable to give his talk on 5th December as originally planned. He will now speak on Friday 4th January at 7.45 p.m. in St Peter’s Church. He starts off the New Year with a touch of absurdity, offering all kinds of helpful suggestions for making everyday life easier, including how to run the bath and cook breakfast without getting out of bed. Ideal for chilly mornings. 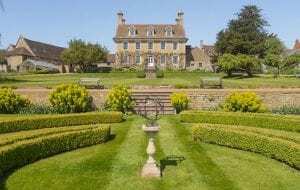 From the garden we get a magnificent view of the Grade I-listed Cobthorne House at Oundle School.